Develop your own trading system with practical guidance and expert adviceIn Building Algorithmic Trading Systems: A Trader’s Journey From Data Mining to Monte Carlo Simulation to Live Training, award-winning trader Kevin Davey shares his secrets for developing trading systems that generate triple-digit returns. With both explanation and demonstration, Davey guides you step-by-step through the entire process of generating and validating an idea, setting entry and exit points, testing systems, and implementing them in live trading. You’ll find concrete rules for increasing or decreasing allocation to a system, and rules for when to abandon one. 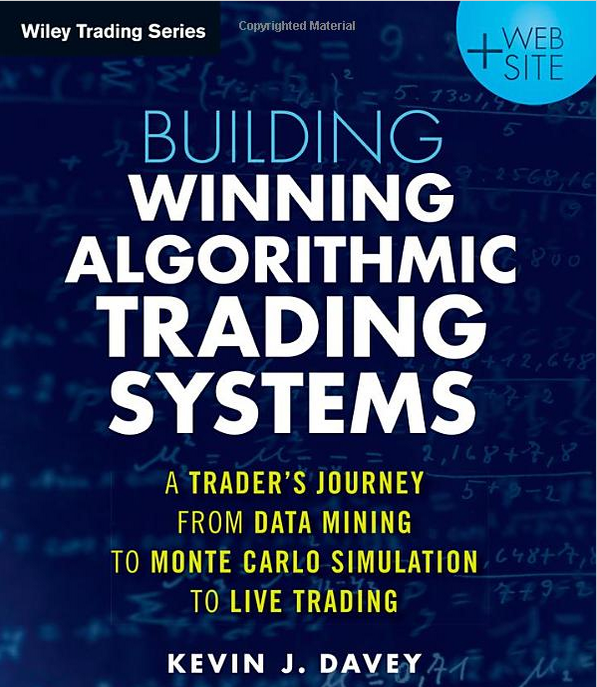 The companion website includes Davey’s own Monte Carlo simulator and other tools that will enable you to automate and test your own trading ideas.